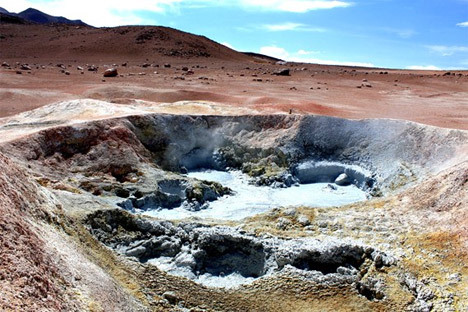 Jeep tears along sand dunes and there is something unreal outside the window like in a film about Mars: volcanoes with fumaroles, bloody-red lagoons, boiling mud lakes with gurgling bubbles, many-coloured mountains and gas jets spurting from the ground. Not a single person, not a single settlement for many kilometres. May be there is no oxygen there? There is oxygen there but it is still hard to breath. This is Eduardo Avaroa National Park in Bolivia, located at a huge height of 4,200 to 6,000 meters (13800 to 19700 ft) above sea level. It is one of the most fantastic places in Latin America. Within one day there you will see almost incompatible things: volcanoes and lagoons, deserts and snow-covered mountains, hot geysers. Also you will see there rare species of animals and birds: vicuña, viscacha, mountain cat, rhea. Hundreds of tourists from all over the world come here every day for the sake of those incredible impressions. By the way, it not only looks like Mars. 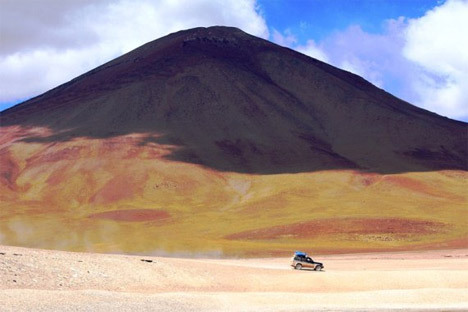 NASA American Aerospace Agency explored Licancabur volcano located in the park to find out if life is possible Mars. 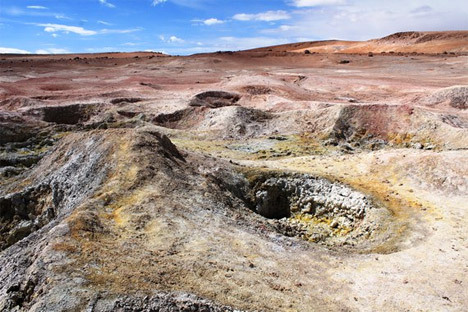 Scientists think that crater of this volcano is exactly as the surface of Mars. Eduardo Avaroa park is located in the South of Potosi Department and borders Argentina in the South and Chile in the West. The climate is very dry and cool there. 1. Volcanoes, some of which are active. 2. 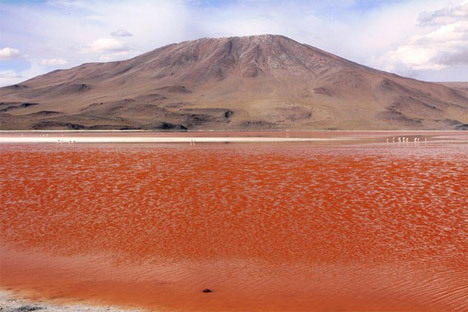 Lagoons that change their colour depending on the time of day: Green Lagoon, Red Lagoon, Stinky Lagoon, Deep Lagoon. In some of them you will be able to see flocks of Andean flamingo. 3. 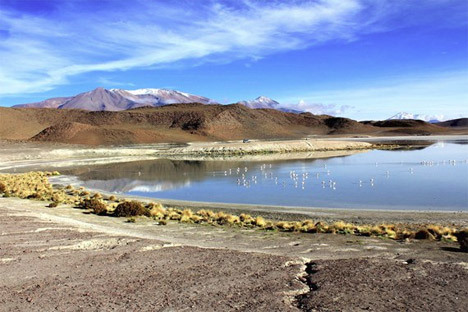 Morning Sun (Sol de Manaña) is a geothermal field not far from the Red Lagoon with incredible views and intense volcano activity. You will see boiling mud lakes and volcano clefts spurting gas jets into the sky. 4. Stone Tree (Arbol de piedra) in Siloli desert that was formed as a result of wind erosion. 5. Salvador Dali Desert was called so because its views resemble surreal paintings by Salvador Dali. 1. One should go to the park on a jeep and with a guide. 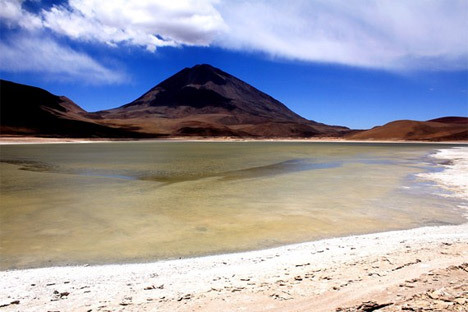 Travel agencies provide those services in Uyuni town, Bolivia and San Pedro de Atacama town, Chile. The park occupies vast area, there are no direction signs and climatic conditions are extreme. That is why it can be unsafe to go there without a guide. 2. Follow the guide's instructions. Be extremely careful nearby Morning Sun geothermal field. Walk between the mud lakes only along walking paths. 3. Take warm clothes with you: padded coat, gloves, hat. It is very cold in the park at day and nighttime. 4. The sun is very bright in the park but it doesn't give out warmth. Take sun glasses and creme with you. 5. Climate in the park is very dry, it can cause pain in your eyes, so do not forget your eye drops. 6. The park is located high above sea level: try to walk slowly and don't overstrain yourself to avoid mountain disease. Be sure to take with you coca tea in bags (mate de coca), coca leaves and Sorojchi Pills that can be bought in every drug store in Bolivia. 7. 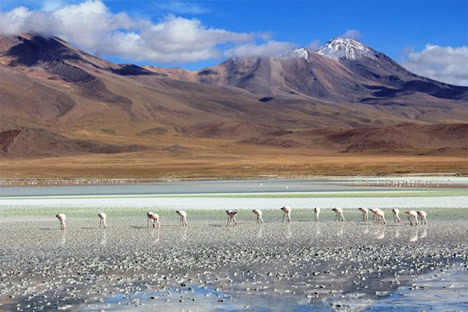 The park is located not far from famous Uyuni salt lake (Salar de Uyuni), so you can combine those two places of interest in one trip. A good tour around the park and the salt lake would take 3 days. 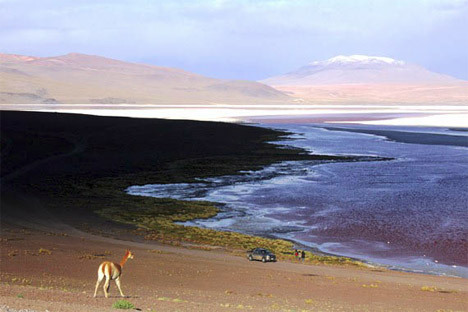 You can begin your tour from Uyuni town or from San Pedro de Atacama. After that you can visit astonishingly beautiful colonial towns of Potosi and Sucre located nearby.